Firefox 61: Developer Edition is available now, and contains a ton of great new features and under-the-hood improvements. Taking inspiration from Spinal Tap, Developer Edition’s dark theme now darkens more parts of the browser, including the new tab page. 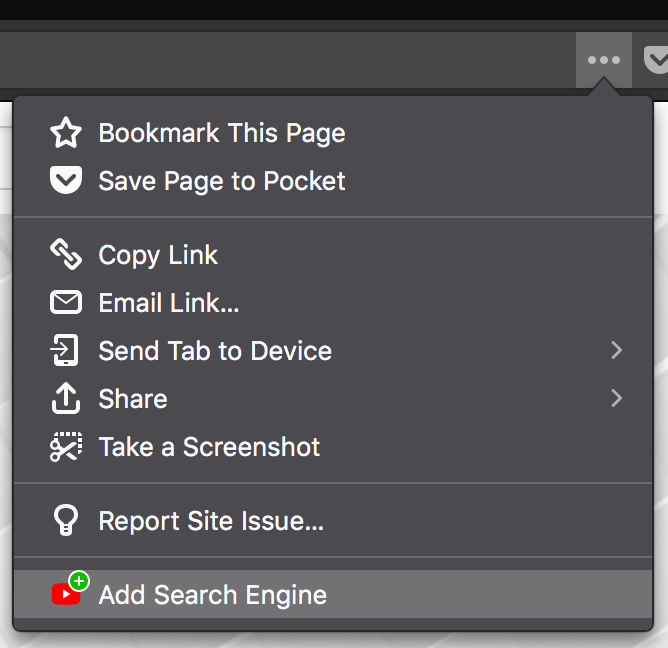 Searchable websites can now be added to Firefox via the “Add Search Engine” item inside the Page Action menu. The sites must describe their search APIs using OpenSearch metadata. And yes, the Page Action menu is also dark, if you’re using a dark theme. 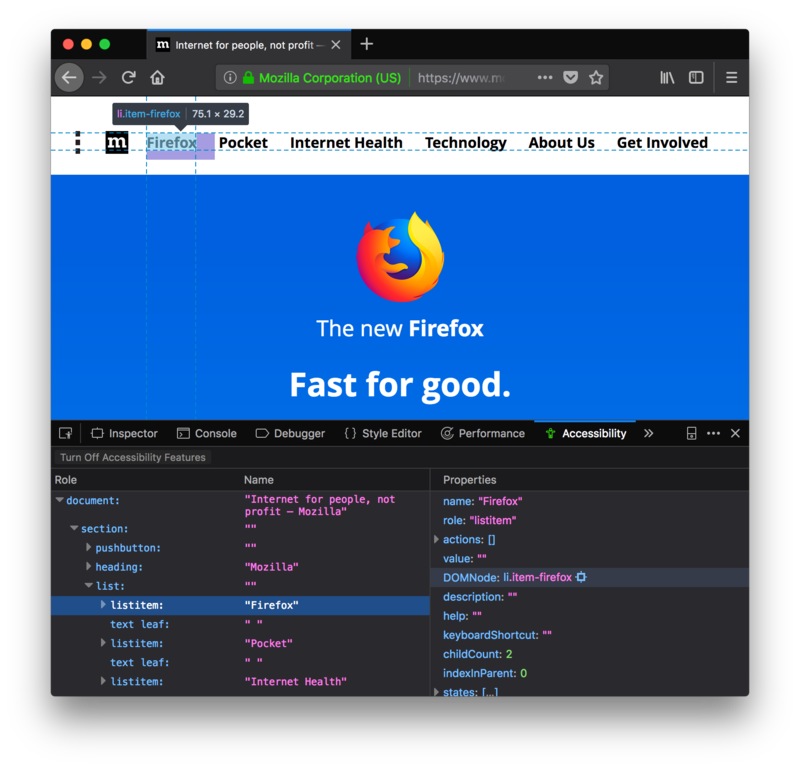 More than just source maps, Firefox 61 understands how tools like Babel and Webpack work, making it possible to seamlessly inspect and interact with your original code right within the Debugger, as if it had never been bundled and minified in the first place. We’re also working to add native support for inspecting components and scopes in modern frameworks like React. To learn more, see our separate, in-depth blog post: Debugging Modern Web Applications. The Developer Tools have seen numerous quality-of-life improvements. You can now rearrange tools to suit your individual workflow, and any tabs that don’t fit in the current window remain readily accessible in an overflow menu. 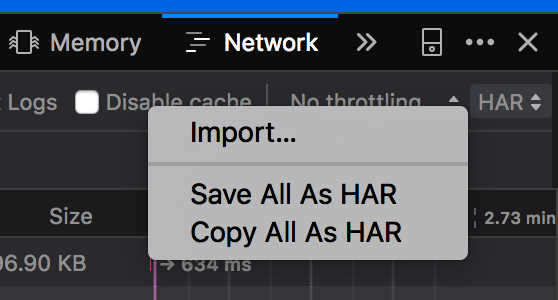 The Network panel also gained prominent drop-down menus for controlling network throttling and importing/exporting HTTP Archive (“HAR”) files. We’ve also sped up the DevTools across the board, and are measuring and tracking performance as an explicit goal for the team. Even more improvements are on the way. There’s also an entirely new tool available, the Accessibility Inspector, which reveals the logical structure of your page, as it might appear to a screen reader or other assistive software. This is a low-level tool meant to help you understand how Firefox and screen readers “see” your content. To learn more, including how to enable and use this new tool, check out Marco Zehe’s article Introducing the Accessibility Inspector. If you’re looking for more opinionated tools to help audit and improve your site’s accessibility, consider add-ons like the aXe Developer Tools or the WAVE Accessibility Extension. Lastly, we landed a number of improvements and refactorings that should make Firefox a better all-around browser. Firefox now parses CSS stylesheets in multiple parallel threads. This can significantly improve the time to first paint for websites, especially when there are many stylesheets on a single page. The multi-tier WebAssembly compiler has been implemented for the AArch64 CPU architecture common in smartphones and tablets. You can read more about the benefits of this compiler design in Lin Clark’s article, Making WebAssembly Even Faster. On macOS, like on Windows, browser add-ons now run in a separate, dedicated process. A continuation of our work with multi-process Firefox, this helps Firefox itself stay responsive, even when an add-on is busy doing work. Firefox 61 is currently available in Beta and Developer Edition, and it will become the stable version of Firefox on June 26th. If you’d like to keep up with Firefox development as it happens, we recommend reading the Firefox Nightly Blog, or following @FirefoxNightly on Twitter.